Having already financed the building of the Savoy Theatre with the profits from his productions of Gilbert and Sullivan performances, the opera-loving speculator, Richard D’Oyly Carte set out to build a London theatre devoted to grand English opera. The architect J.G. 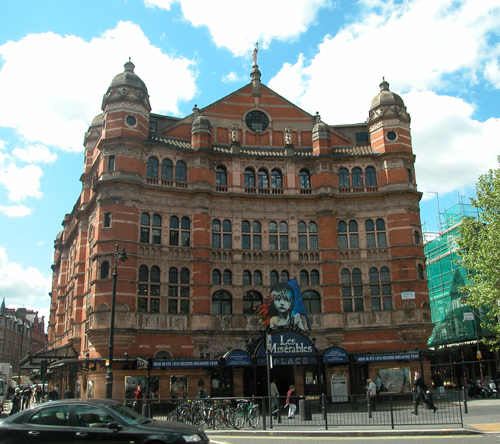 Buckle was initially employed to advise on the design of the theatre, but then D’Oyly Carte supervised the building works himself with the assistance of G.H. Holloway. 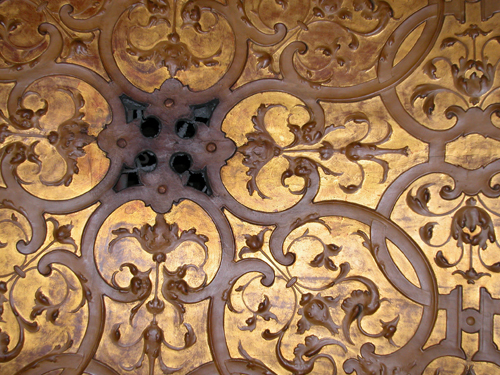 Another architect, Thomas Collcutt, was later employed to complete it. Although the theatre opened as the Royal English Opera House on 31st January 1891, alterations continued to be made to the design. 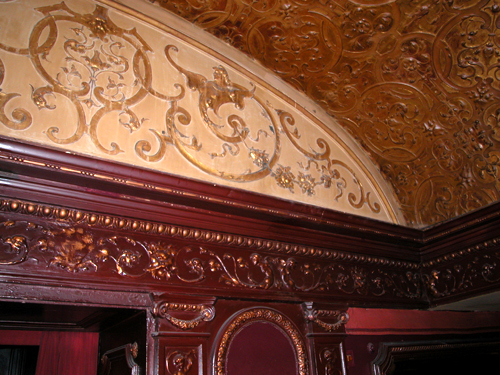 Patrick was commissioned to carry out an examination of the paint in the Foyer and the Stalls Bar of the Palace Theatre.